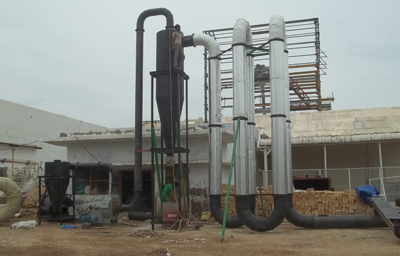 Model : "FLASH AIR DRYER"
Flash Air Dryer is used for suspension drying of powdery, ground or granulated material such as saw dust, coir pith and baggasse pith which are usually. Materials with moisture content of 35% or less. In our Flash Air Dryer maximum 20 % is dried in one cycle. 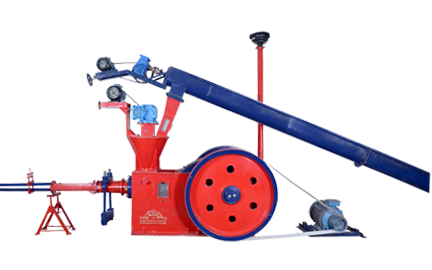 In our Flash Air Dryer, you should first of all feed particle material having moisture content & with the size of 0 to 25 mm in the conveyor. From conveyor, the waste is passed in the Vanes where Hot Air is sucked from Hot Air Kiln. 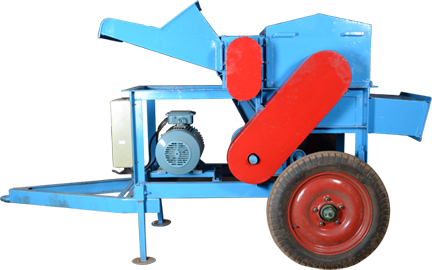 It is used for drying of chopped material such as Saw Dust and Baggasse. 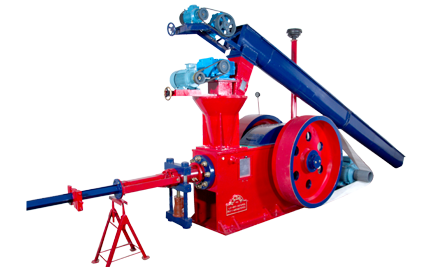 Normally Dryer can dry only powder form raw materials. 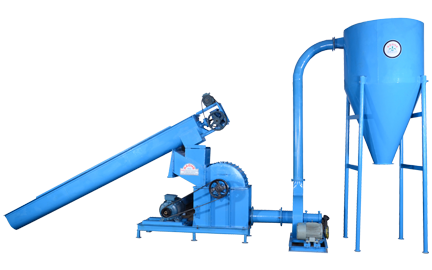 Our Technical Team can Design Specially for Briquetting Press Machine.